As a student, I hated poetry. In high school, the words “poetry unit” filled me with dread and an almost uncontrollable desire to feign an extended illness preventing school attendance. 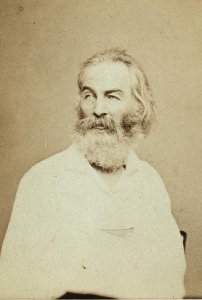 As an adult, the aversion stayed with me until I heard Walt Whitman’s haunting verses about the Civil War read aloud – grieved, lamenting the death that seemed to be everywhere. Listening to poetry and experiencing the emotions that the poet meant to evoke brought the words to life. Meter and rhyme, refrain and couplet, sonnet and stanza — they may be important to learn, but only after poetry is experienced. Experiencing poetry is crucial to appreciating it. Once it has been experienced, the process of creation can be studied with a focus on mechanics and editing. 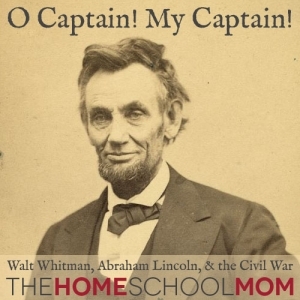 April is both National Poetry Month and the anniversary of the assassination of Abraham Lincoln, making it the perfect time to highlight Walt Whitman and his famous poem, “O Captain! My Captain!“. An emotional response to the murder of Lincoln, the poem was published in the Saturday Press in 1865 (those of a certain age will remember the famous scene from Dead Poets Society that led to the salutation being used as a tribute to Robin Williams). 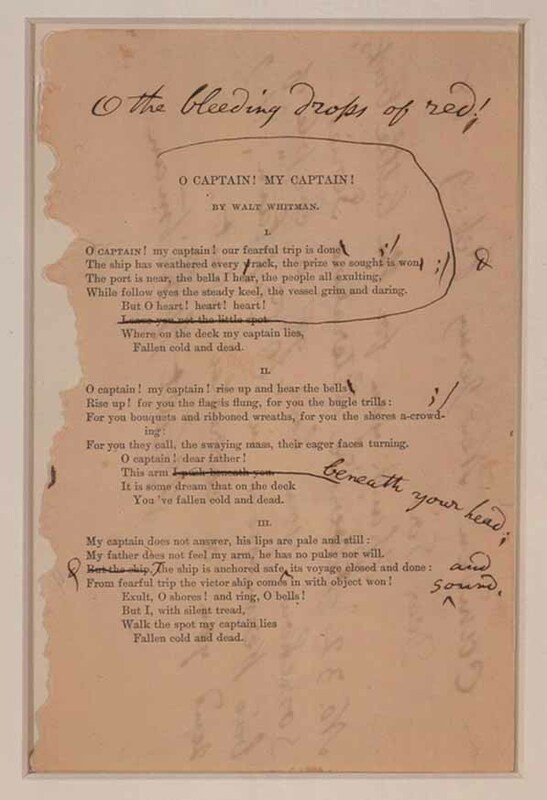 The Library of Congress calls Whitman “restlessly creative” due to his constant process of revision; he was still revising the verses in “O Captain! My Captain!” decades later. When sent a proof from his publisher for a new book of his poems in 1888, Whitman returned it with handwritten corrections. The publishers of the “Riverside Literature Series” apparently had included an older version of the poem, which Whitman called “a bad perversion“. Proof sheet with corrections in ink, 1888. 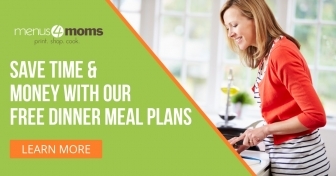 Finding the right wording is rarely easy. 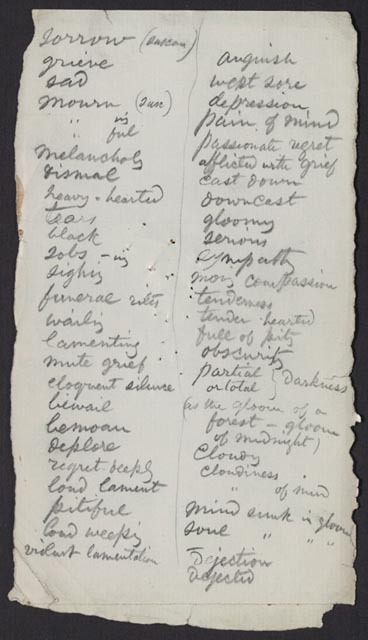 While working on “Hymn of Dead Soldiers” (later called “Ashes of Heroes”), Whitman kept a list of synonyms related to grief. 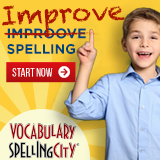 Such tools are necessary for good writing, in which conciseness and accuracy are paramount. Writers are told to “kill their darlings” during editing, and Whitman took it to heart. Most of his life was spent continually revising Leaves of Grass. Whenever possible, have the students listen to poetry rather than read it. Below is a beautiful version of “O Captain! My Captain!” read by Tom O’Bedlam that you can start with. 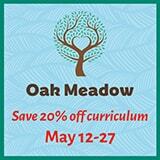 The following links include a variety of resources, both primary and secondary, in various media. I suggest using the resources for background rather than as lessons, and use the poetry itself to illuminate the Civil War experience. For more poetry resources, visit our poetry page or the Poetry Foundation website. For more about Walt Whitman, visit the Smithsonian Institution’s National Portrait Gallery feature.